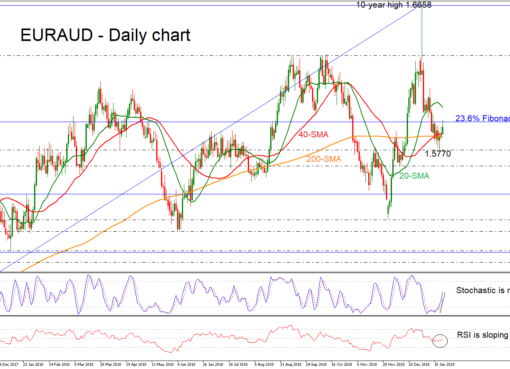 EUR/AUD on a slippery slope; bears break 1.5900. 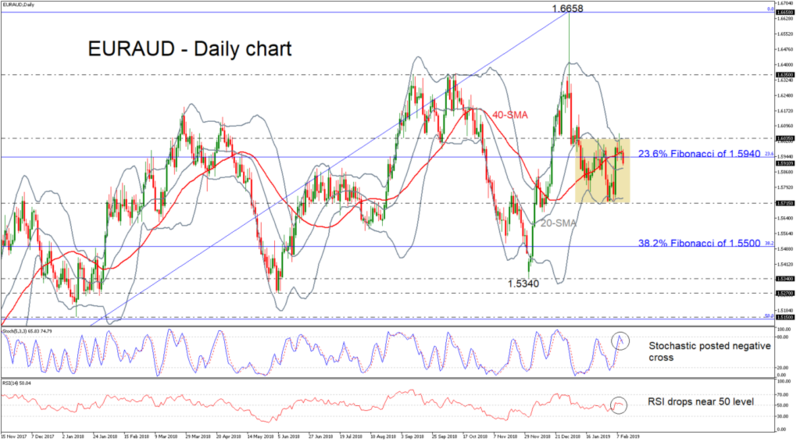 EUR/AUD is retreating near 1.5900 below the 23.6% Fibonacci retracement level of the up leg from 1.3625 to 1.6558, approaching the mid-level of the Bollinger Band (20-simple moving average) in the daily chart. 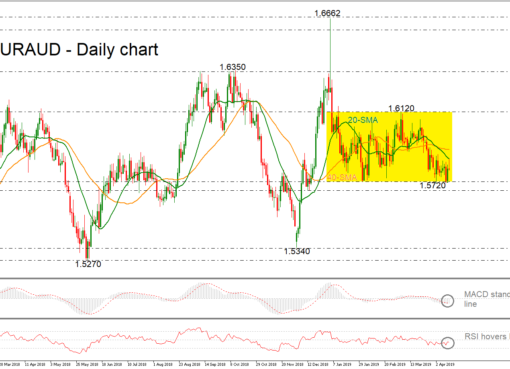 Over the last month, the price has been moving sideways in the Bollinger Band within the 1.5715 support and the 1.6035 resistance. On the other side, if the pair strengthens, the 23.6% Fibonacci and the 40-day SMA could act as strong resistance obstacles for the bulls. 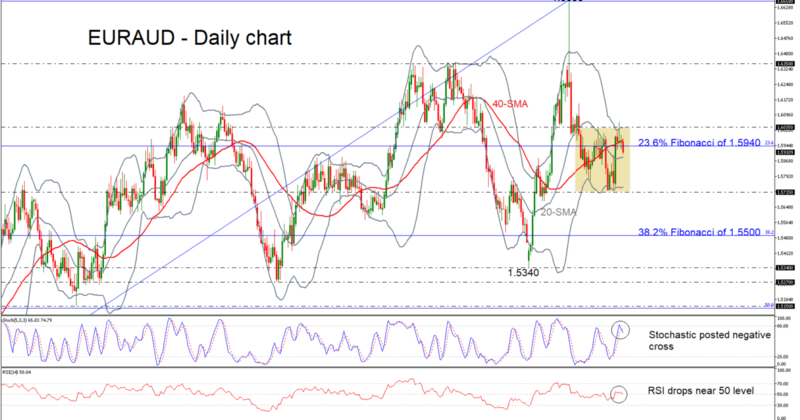 A jump above these lines could find immediate resistance near the upper Bollinger band, which overlaps with the 1.6035 level. 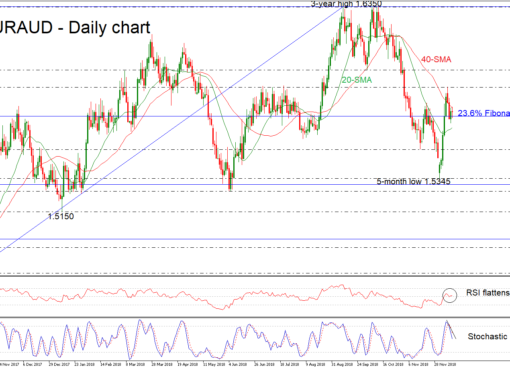 A bullish run higher could send prices towards the 1.6350 level, recorded on October 11.